A young author writes a beautiful kids story!!! 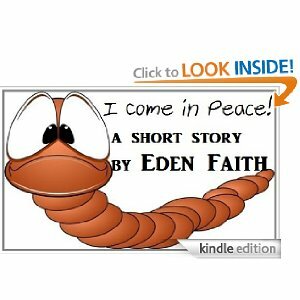 A sweet children’s story written by eleven year old Eden, about a worm burrowing through his hole to a strange land. This book is short. But what it lacks in pages it makes up in cuteness. It has a good message about never judging people by their looks. A great childrens book by a very young (11 yrs old!) author!!! Good job kiddo. I enjoyed it! She takes after her mama Author Jamie McQuire.